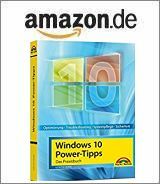 [German]On November 27, 2018, Microsoft released the (security) preview update KB4467108 for Windows 7 SP1 and the update KB4467695 for Windows 8.1 as well as the corresponding server versions. Here is an overview of these updates. A preview rollup update has been released for Windows 7 SP1 and Windows Server 2008 R2 SP1. The update history for Windows 7 can be found on this Microsoft page. The update is automatically downloaded and installed by Windows Update. It can also be downloaded from the Microsoft Update Catalog. Microsoft strongly recommends that you install the latest Service Stack Update (SSU) KB3177467 before installing the latest rollup. With Windows Update, the SSU is automatically offered before the installation. Since this is a preview rollup, I would hide KB4467108. Note: In the KB article there is again the hint that the update has the problem that the NIC (network interface controller) does not work anymore because of a missing third party .inf file. A remedy is to reinstall the NIC via the device manager. After you install this update, users may no longer be able to use the search bar in Windows Media Player when they play certain files. Microsoft is working on a solution to this problem. A preview rollup update has been released for Windows 8.1 and Windows Server 2012 R2. The update history for Windows 8.1 can be found on this Microsoft page. Update KB4467695 (Preview of Monthly Rollup for Windows 8.1 and Windows Server 2012 R2) contains improvements and fixes that should be included in the rollup of the next month. It addresses the following points. This update is automatically downloaded and installed by Windows Update as an option, but is also available via Microsoft Update Catalog. There are no known issues with this update. As preview of the rollup update I would hide this package and not install it. preview rollup update has been released for Windows Server 2008 SP2. The update history can be found on this Microsoft page. Update KB4467687 (Preview of Monthly Rollup for Windows Server 2008 SP2) contains improvements and fixes that should be included in the rollup of the following month. It addresses the following items. This update is automatically downloaded and installed by Windows Update as an option, but is also available in the Microsoft Update Catalog. There are no known issues with this update. As a preview of the rollup update I would hide this package and not install it. A preview rollup update for Windows Server 2012 has been released. The update history can be found on this Microsoft site. Update KB4467683 (Preview of Monthly Rollup for Windows Server 2012) contains improvements and fixes that should be included in the rollup of the following month. It addresses the following items. This entry was posted in Update, Windows and tagged KB4467108, KB4467683, KB4467687, KB4467695, Update, Windows 7, Windows 8.1, Windows Server. Bookmark the permalink.